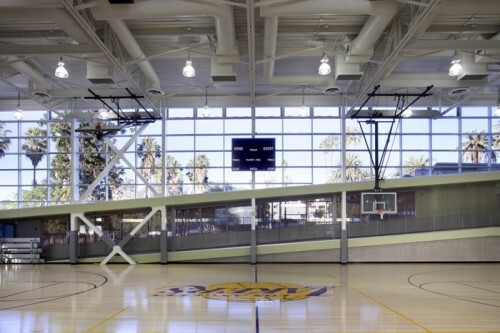 Last week we checked out the opening of the new Lafayette Park Recreation Center, right outside of Downtown LA. 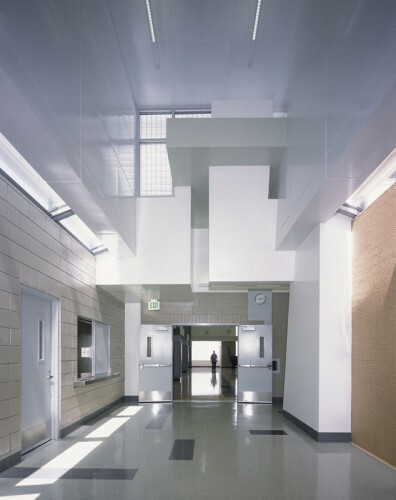 Designed by Kanner Architects, the 15,000 square foot, $9.8 million complex represents a complete about-face from what was once a decrepit senior center with a drug and weed infested park. 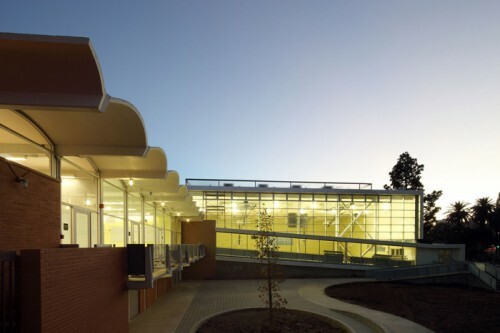 It includes the airy renovation of 60’s architect Graham Latta’s whimsically modern 1962 senior center (with its barrel arched concrete canopies), a light-infused new gym (thanks to a large double-layered glass curtain wall—why don’t most gyms have those? ), and new fields and picnic tables. While the cash-strapped city funded some of the project, a big chunk came from the Everychild Foundation, which chooses one project a year for which to donate $1 million. 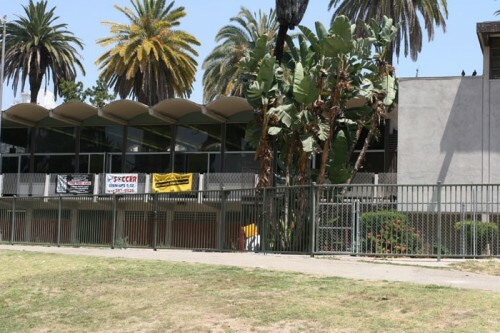 The building, which is the first for the firm since principal Stephen Kanner’s death, is the first LEED certified building completed by the LA Department of Recreation and Parks. 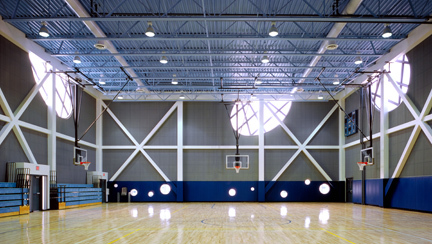 Incidentally, this was not Kanner’s first gymnasium. 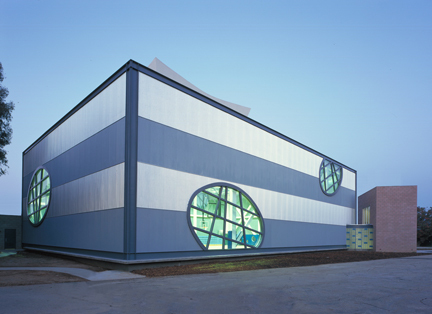 His Pacific Palisades gym (2000, below) has become a bit of a sports fanatic’s destination, thanks also to its airy feel and large, unique elliptical windows. 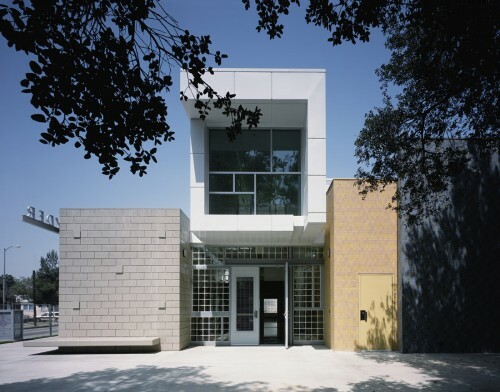 And after that Kanner completed the Ross Snyder Recreation Center in South Los Angeles, where he experimented with many of the formal techniques (floating planes, layering of spaces) that he used in his residential work.